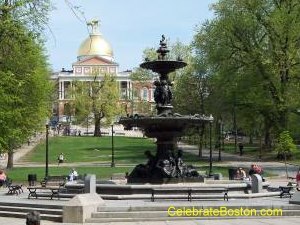 APLIC in Boston – Save the date! At its Fall 2013 meeting, hosted by the Center for Communication Programs, Johns Hopkins University, Baltimore, MD, the APLIC Board explored potential topics for our 47th annual conference. Sessions focusing on social KM, collaborative tools, and other common interests were discussed, and weâ€™ll keep you informed as the program develops. If you have any suggestions about a topic or issue that is highly relevant to our work as information professionals in the population studies arena, please communicate with Debra Dickson.Â I look forward to seeing you in Boston. In addition to the APLIC conference (my favorite, of course) I also regularly attend the much larger SLA annual conference. Because SLA is so big, I thought it might be helpful to pick out a few programs that would be of particular interest to APLIC members. If you’ve spotted a good one I missed, please add it in the comments. I’d also like to have an APLIC get-together during the conference – watch for information on the APLIC listserv. I hope you are making your plans to attend APLIC’s 42nd Annual Conference this April. To assist you in making travel arrangements, we’ve added some information about the conference schedule to the conference web page. Registration is now open for the 42nd Annual APLIC Conference, to be held April 27-29 in Ann Arbor, Michigan.